PRI vs. SIP Trunking: What's the Difference and Which is Best? If you're looking for a replacement of your business phone system or just starting a business and looking at what phone system to purchase, you're probably swimming in what may seem like a sea of acronyms. But, it all really boils down to two choices... Primary Rate Interface (PRI) phone systems (traditional telephony), and voice-over-IP (VoIP) phone systems delivered over Session Initiation Protocol (SIP). As organizations realize the cost-cutting and productivity-boosting benefits of cloud communication tools, many are making the switch from PRI phones to SIP. However, others are choosing to stay with legacy phone systems, while others still are using hybrid solutions that blend legacy and IP phones into a single system. 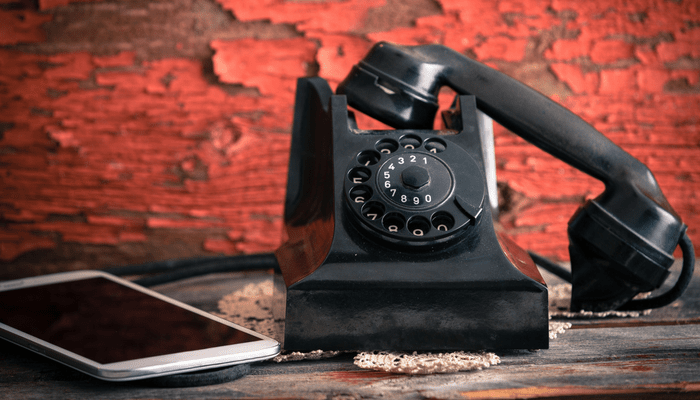 In some ways, PRI and SIP phones both serve the same core purpose: allowing employees at the enterprise to place and receive business phone calls. More importantly, is PRI trunking a better fit for your needs, or is SIP trunking? PRI vs. SIP Trunking: Which is Best? Read on to learn the pros and cons of PRI and SIP phones, and how to tell which technology fits your needs better. What is PRI Phone Service? Primary Rate Interface (PRI) is a T-1 transmission technology that has been widely used to support voice communications for over 40 years. It’s an interface standard used to deliver multiple lines of voice and data through physical copper lines that are part of your building’s physical infrastructure. A PRI circuit includes 23 voice channels to support 23 concurrent calls, and one data channel to support call-related functionality like caller ID. Voice calls that are supported through PRI technology are submitted as electrical pulses and routed through traditional telecommunications carriers. Traditional telephony requires a relationship with a telecommunications company and on-site servicing of cabling to add lines or upgrade equipment. PRI is an alternative to IP-based phone technologies, including SIP trunking. Slow to scale, modifications to infrastructure may take weeks of waiting. Organizations with legacy PRI infrastructure and limited access to fiber-optic internet connectivity or sufficient bandwidth to support IP-based phones. Hybrid PRI and SIP trunking implementations, where organizations retain legacy PRI technology for local calls while using SIP for multimedia communications and saving costs on long distance/international calling. What is SIP Trunking or a SIP Phone? Session Initiation Protocol (SIP) trunking is a set of technological standards that support VoIP calls by initiating and ending calls between a VoIP line and another phone number. SIP supports the transmission of voice calls as data as well as other types of multimedia communications. SIP is a phone technology, but it supports the transmission of Unified Communications including video conferencing, SMS messages, data transmissions, and more. For organizations with hosted phone communications, SIP trunking equipment is generally hosted and maintained by the vendor to manage the transmission of voice data. SIP is an alternative to PRI in that it completely eliminates the need for traditional phone infrastructure, including circuits. Sold by vendors on a per-channel basis on-demand, so you only pay for capacity needed. Requires internet bandwidth, ideally business fiber internet, to support quality of service (QoS). Needs sufficient network information security, like firewalls, to prevent cybercrime risks. Saving money on business phone service, especially for organizations with long distance and international outbound calling. Cost-effective support for contact centers. Adding mobility features to the enterprise and supporting remote workers. Reducing the burden of phone system management on internal IT personnel. Gaining the ability to quickly scale business communications by adding and removing lines and features on-demand. Is PRI vs. SIP Trunking Best for My Business? PRI and SIP Trunking are competing approaches to phone technology which carry distinct advantages and disadvantages. For many organizations, SIP trunking to support VoIP telephony or UCaaS is the smarter choice and enables access to the benefits of significant cost savings, improved collaboration tools, and better reliability. For other firms, a hybrid approach to using both PRI and SIP is the right decision. Educational institutions may decide to implement Unified Communications, but maintain a few PRI lines to support legacy intercom technology and some disaster recovery planning scenarios. For other businesses still, PRI may be the right choice. For the vast majority of organizations, SIP is much cheaper than PRI. Cost is an important consideration for organizations, even though it’s not the only factor to take into account when you’re investing in a business phone system. Organizations who need to scale their system, add features, and perform long distance calling are likely to achieve massive cost savings. There are very rare instances where PRI may be less costly than SIP. These use cases are generally limited to small, brick-and-mortar businesses with no need for advanced phone features like eFax or integrated messaging. For organizations that are not going to grow or adopt different communication technologies, maintaining an existing PRI system could be the right choice. Who wins? SIP Trunking most of the time. PRI is considered more secure, which isn’t strictly correct. Copper cabling can be subject to a number of information security risks, including interference and interception. However, organizations who lack on-site information security expertise to achieve adequate network security and attempt to run consumer-class VoIP over public internet connectivity may be very vulnerable to security risks. Who wins? SIP Trunking with adequate network security. The biggest con to PRI is also among the greatest pros of SIP trunking; flexibility and scalability. With PRI, organizations are required to purchase additional user capacity in 24 lines. With SIP, organizations can add a line for a service month to accommodate a temporary or seasonal employee, and remove the line as soon as it’s no longer needed. SIP can enable organizations to unlock truly usage-paid billing on-demand, while organizations using PRI may need to wait weeks to schedule a technician for very high-cost infrastructure upgrades. The reliability of copper-based phone cabling can be damaged through a number of risks, including inclement weather, vandalism, or simple degradation of an aging infrastructure. While PRI is considered a very reliable technology and it generally is, organizations will lose access to phone service if a component of their infrastructure is damaged. SIP is reliable, provided organizations partner with a reliable vendor and invest in fiber-optic internet connectivity which is very resistant to weather and other common types of damage. With mobile failover, organizations can continue using dedicated phone lines even if there is a loss of data connectivity on site. Who Wins? It depends. Generally, SIP wins, but some organizations may prefer a hybrid approach. Is PRI or SIP trunking the best choice for your business? Ultimately, that depends on your organization, your goals, and your desire to adopt next-generation communication and collaboration features. The majority of organizations today have adopted or plan to switch to VoIP phones and UCaaS as a tool for cost savings, better value, and business agility. While PRI is the right choice for some select organizations, many firms find that SIP beats out traditional PRI phones. Want a crash course in everything you need to know to drive the most value with your business investment in a new phone system? 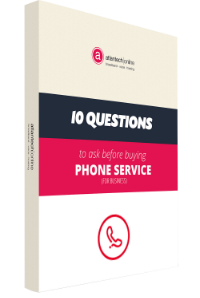 Download the free Atlantech eBook, 10 Questions to Ask Before You Buy Phone Service for Your Business.